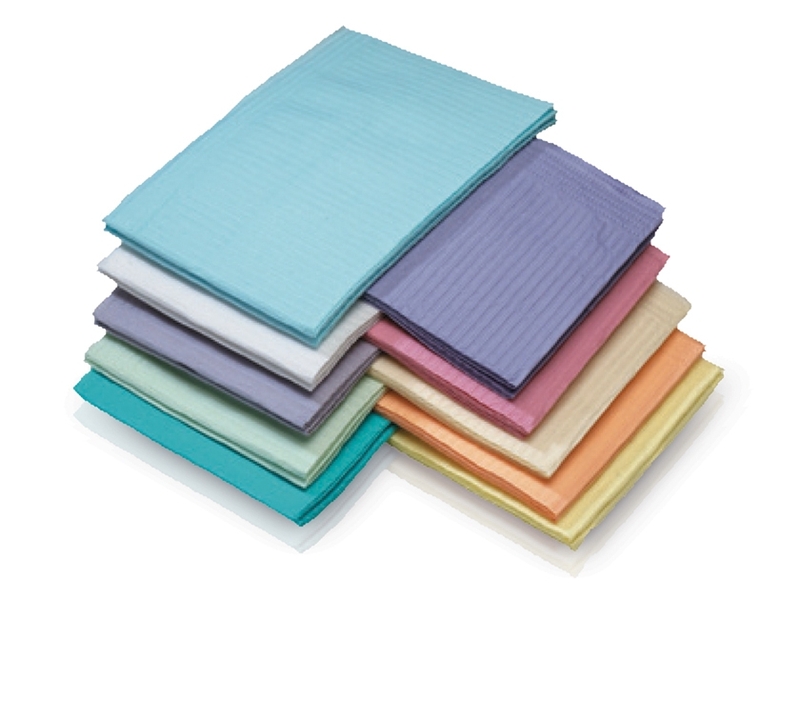 • Superior absorption and clothing protection with additional layer of paper and plastic backing. • Excellent protection thanks to horizontal embossed pattern and a unique water-repellant edge. • Many colour options to coordinate with Medicom® plastic cups. Q: What does 2+1 poly and 3+1 poly mean on your Medicom DRY-BACK bibs? Some competitors of Medicom claim 2-ply but it is really only 1-ply paper and 1-ply plastic. Q: Why do the bibs include a feature like plastic backing? Q: What is the difference between Professional Towels and the Dental Bibs? A: Professional Towels are all paper towels (no plastic backing) and used as a multi-purpose towel (wiping down countertops, hand towels and also as bibs). Dental Bibs (poly-back) are used to drape the patient. They have a plastic backing for extra protection of patient’s clothing. Q: Are the dental bibs bio-degradable? A: Yes. The paper part is bio-degradable, but the plastic is going to take longer to bio-degrade. Q: Are the bibs latex free? A: Yes they are latex free.